April 12 marked my first kayak trip of spring 2015. April 12 has been the date for the last two years. Considering how different the springs were, that is an interesting coincidence. This year our water temperature was in the fifties for much of March, I was pretty surprised myself when I went out on the water in my skiff on April 11, 2015, and found the river's water temperature above 70F. Declaring the water is ready for fun is a lot easier than actually getting out on the water. The first challenge is that the water and weather are always changing. Kayaking requires a little narrower range of weather than you can get away with in a skiff so there are days when kayaking can be a lot of work especially the first trip of the year. Still that first kayaking trip of spring is an exciting time and most of us dedicated fisherman will push the envelope to wet a line even if the chance of catching something is small. Once I found out the water was over 70F on April 11, I knew that barring a storm on the river, I would be out on the river in my kayak on April 12. The forecast for April 12 actually looked pretty good even as late as the morning of April 12. The forecast called for the winds to die down and for there to be sunshine in the afternoon. However, if you live on the coast, one of the first things you learn is that the "coastal effect" can blow-up any forecast. That is what happened on April 12. The winds increased instead of dying down and our sunshine went AWOL. However, the glimmer of hope for the first kayak fishing trip of spring dies hard or not at all. I had a few things to do to get ready for that first kayaking trip of spring. First on the list was installing a new handle on kayak. I launch my kayak from our back yard which is on Raymond's Gut which flows into the White Oak. I need the handle because of the drop from my yard to the water. Getting into the water which is downhill is not a problem. The hill is more of a challenge when I am ready to get out of the water. Standard procedure is for me to throw a line to my wife who then hooks a cable to our SUV and pulls the kayak and me onto dry ground. I do that instead of getting wet and muddy by getting out in the water. It we had a sandy instead of silty bottom here, I am sure I would do something different. I got a new kayak last fall and it did not have a good place to hook the cable I use. I did some research and figured out the easiest thing to do was use special kayak pop rivets to put on a handle. It took longer than expected but I got it done. The kayak anchor also had to be reinstalled. My rigged-up kayak looks pretty impressive and it lets me handle the two mile wide White Oak without any problems. Of course you cannot go fishing without checking your fishing gear. I always sharpen the hooks on my jig heads and lures before the first trip of spring. Even with all that by 3:15 PM I was ready to launch. The timing was not bad either since there was still a couple of hours before high tide not that it is very high this time of year. I put my sunscreen on, got my hat and sunglasses, put on my life suspenders, told my wife where I was headed, and slid the kayak into the water. As I was leaving my neighbor yelled, "It looks too windy to go kayaking." I ignored him as only a true fisherman can and paddled on towards the river. As usual my neighbor offered to come get me in his boat if I ran into trouble. I am never sure that will work since the reason I fish with a kayak is that it will take me places you cannot go with a boat even a skiff like ours. Because it was so windy, it took me considerably longer to paddle out our Inlet. Normally I can be to the middle of the river is around fifteen minutes. I barely made it to the river in fifteen minutes. I headed to my favorite flounder hole and quickly figured out that the wind and current were such that the only way I could fish was by anchoring. I tried three or four spots and did not even have a touch from a fish. I did catch a fair amount of marsh slime which unfortunately is normal for early spring. One of my rules is always to try at least one different spot on a fishing trip. I paddled over to an oyster rock that I rarely fish and anchored one last time. I fished another ten or fifteen minutes and decided that I should head home. I turned on MyTracks on my Motorola Droid Turbo and headed home. This is the track of my return trip to our dock. You will notice my flounder hole is not on the map. I had no luck catching fish, but it was the first trip of the season. Now that I have that out of my system, I can be a little more discriminating when it comes to the weather. As you can see from these pictures, kayaking on the White Oak can be breathtaking. You have to work for your fish and our local expert, Dr. Bogus, would likely have been upset if I caught a fish on my first trip of the year. He fishes almost every day of the year even in what I would consider not so good weather. He caught a couple of flounder in the last week so I know they are around. Chances are good that I will catch some fish out on the oyster rocks after I have chased them for a while. I had a very good season last year and there is no reason to believe this early that it will be any less successful in 2015. I work hard at fishing and generally catch enough fish to keep my wife happy and to keep me fishing. I am glad April is here and the season has started. This is the first time that I have not had to buy a fishing license. I was sixty-five last year and in North Carolina, that is the last license you have to buy. The White Oak is a great river for kayaking. 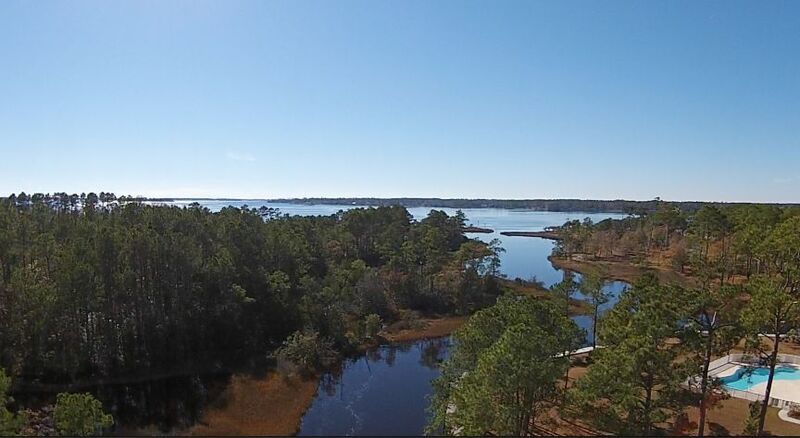 It is easily accessible from Swansboro and the amount of boat traffic is minor compared to what you find in most area waters. There is a kayak launch ramp in Centennial Park by the westernmost Highway 24 Bridge. There is also a good launching spot for the White Oak in the Cedar Point Croatan Access. Unfortunately there is some remodeling going on there and that access was still closed as of the first week of April. If you need more information on the area check out my free online guide to the area or considering buying our Kindle or our color paperback version which is currently available for only $15.72 and prime eligible. There are nice fishing and kayaking sections in the books.